Jeremy Corbyn: Why has this happened? First off, I apologise for the lack of posts for a month. I don't really have an excuse, so I'll call it a summer break and leave it at that. In my last Weekly Review, one "rogue" poll had put Jeremy Corbyn (the bearded, beret wearing hard-left candidate) in the lead for the Labour leadership, but now nearly every poll has put him ahead of the three other candidates. This leaves Liz Kendall, the Blairite and most centrist candidate as the outsider, despite her being the most electable. Simple, the Labour leadership only have themselves to blame for Mr Corbyn's rise. They've made several mistakes. First, they failed to find a coherent message against the government's welfare reforms. When Harriet Harman (acting leader) proposed abstaining it went disastrously. The SNP criticised Labour for not being “a real opposition,” whilst the new leader of the Lib Dems said they were opposing changes they had stopped in government. The Conservatives also pounced, they said that Labour hadn't learnt a thing and still couldn't be trusted with the reins of power. Over 50 of Labour's own MPs voted against the changes, including Mr Corbyn himself – whilst Andy Burnham, Yvette Cooper and Liz Kendall abstained as planned. This allowed Corbyn to clearly differentiate himself from the others – he was offering a clear alternative to the government's austerity programme. Corbyn can criticise his opponents for offering “Tory-lite” policies while he's seen as the true opposition to the Conservatives. This has endeared him to many people disillusioned with politics who see all politicians as “the same” – apart from Corbyn that is! Second, the electoral system and timetable have been poorly thought out. Although the One-Member-One-Vote system works effectively in other parties, it has not worked here. When Ed Miliband changed the system, he was praised, but the introduction of the ability to sign-up as a supporter for just £3 has allowed thousands to join easily and quickly. Many of those new members did so just to vote for Corbyn. The Labour party could also learn a lesson from the Lib Dems and Scottish Labour Party – not something people often say – and shorten the time it takes to choose a leader. Nick Clegg resigned the same day as Ed Miliband, but the Lib Dems had a new leader before nominations even closed for the Labour leadership. Similarly, Jim Murphy resigned later than Miliband and Scottish Labour have just chosen their leader too. The long timetable has allowed many people to sign-up just to vote for Jeremy Corbyn once he gained momentum, rather than because they necessarily support the aims and values of the party. The final problem is the amount of anti-Corbyn messages that have been thrown out by everyone else in the party. 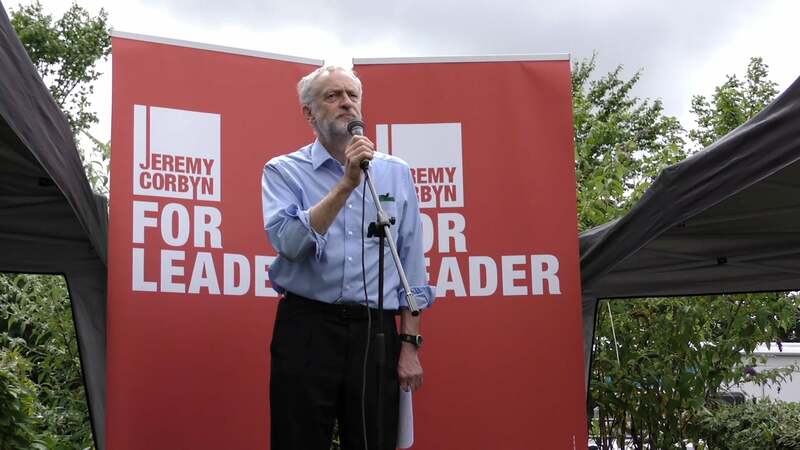 These attacks have left Burnham, Cooper and Kendall as the anti-Corbyn candidates rather than proper contenders with their own distinct ideas and policies. The interventions by Tony Blair and Alistair Campbell have not helped either and will only be strengthening Jeremy Corbyn's position in many people's eyes. The constant calls for two candidates to drop out to help beat Corbyn also misunderstands the purpose of the preferential voting system the party uses. The other candidates need to be campaigning for themselves, not just attacking Corbyn and each other for how badly the contest is going. I'll leave you with a video by Andre Bisson of Corbyn giving a talk in Preston – I think it makes it quite clear why people want to vote for him.